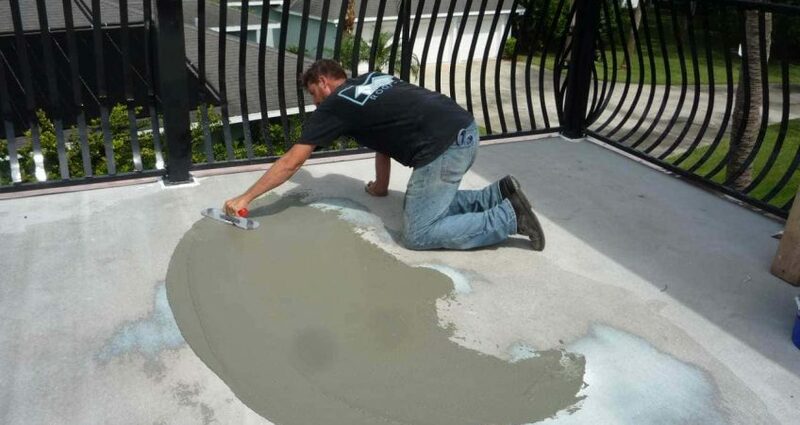 If you have no experience with waterproofing your deck, you’re already playing risk with how fast you’ll need maintenance done. Even if you have done waterproofing on your deck recently, one aspect many people ignore too often is how important good drainage systems are. Deck drainage and waterproofing complement one another because they’re basically symbiotic in preventing deck deterioration down the road. By paying more attention to your drainage, you’ll stop what caused possible damage to your deck in the first place. One of the biggest culprits for a rotting deck is standing water caused by even light rainstorms. Just because any condensation you saw on your deck disappeared quickly doesn’t mean it won’t set into the wood or concrete. After a number of months, you’ll start to see signs of rot or cracks that could pose major safety risks to you and your guests. If you’ve ignored drainage systems on your deck for too long, it’s time to look at the options available if you’re having waterproofing done now. As one of the most popular drainage systems, sloping your deck is essential to eliminate the problem of standing water. In order to do this, you have to understand how to measure angles on your deck as you create the slope. Basically, you need to know two terms: Pitch and slope, which basically describes the same thing from two different angles. When describing a pitch, you’re basically describing a rising angle on your deck. The slope is your descending angle. All of this means you have to do a little calculating before your final slope measurement, though it’s quite simple. First, you need to measure where you’ll mount your deck to your home and the total distance from your house. Once you have this figure, you need to divide the measurement by five. Take this figure and use it for how much slope you’ll need in inches. This is very easy math, and you only need a measuring tape, which you can use yourself. Once you have a deck professional visit you, they’ll check the measurement for you to make sure it’s accurate. Through your deck expert, you’ll know whether building a slope on your deck is really the right choice. In some cases, drainage systems are maybe a better option. Some deck owners let water drain through gaps in the wood. While this could work in some cases, it’s not recommended since it can take too long and ultimately creates too much standing water. As a result, you could still get rot in the wood. A high-level deck might need some creative drainage design so you’re sure water channels down into the sewer. French drains are certainly popular for this choice. So are deck channels built right into the deck itself. With the latter, it’s possible to connect the channel directly to the main drain. Dry-wells are another creative option many create right out of an existing barrel. Of course, the consequences for not installing slopes or drains could become major if you ignore signs of rotting for months or years. What Consequences Could You Face? The biggest concern is subtle rotting in the wood that becomes so soft, you could have a deck collapse. Such a thing could take you by shock and end up with severe injuries, or fatalities. Always bring in a professional to inspect your deck if you suspect you have any water damage. With a waterproofing coating, you can prevent this from ever happening. Here at Pli-Dek Systems, we’ve designed waterproofing coatings that guarantee deck protection with just one application. Contact us to learn more about drainage and how important it is to use with a waterproofing system.